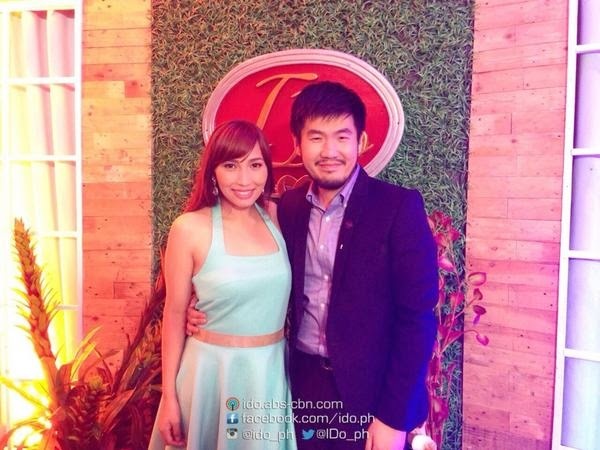 MANILA, Philippines - ABS-CBN realiserye “I Do” finally named its grand couple winner at the live Grand Ceremony on Saturday, Nov 8, 2014 held at the Dolphy Theater in Quezon City. Power Couple Jimmy and Kring won the public votes, 56.8 percent against couple Chad and Sheela. Aside from the dream wedding, Jimmy and Kring will get honeymoon package, a negosyo package worth P1.5 million, home appliances, P1 million, and house and lot. It was announced that the Grand Wedding is set on next Saturday (Nov 15) after “The Voice of the Philippines” on ABS-CBN. The Saturday’s episode also unveiled how the couples and their lives have changed since leaving the “I Do” village, as well as the scenes behind Jimmy and Chad’s surprise marriage proposal to their girlfriends. After learning the importance of family on “I Do,” Jimmy took a trip to Korea with Kring to see his mom after more than a decade. The "I Do" Final ceremony on Saturday was hosted by Ms Judy Ann Santos-Agoncillo with special guests Jolina Magdangal-Escueta, Rica Peralejo-Bonifacio and Juris.